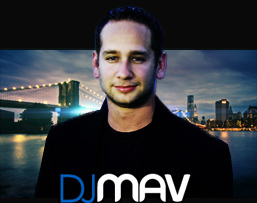 DJ Mav Entertainment only has one package for weddings… The Custom Package. Our Custom Wedding Entertainment Package is ideal for every type of reception. Your Disc Jockey Entertainer will perform the duties of Master of Ceremonies, making the introductions and announcements that will guide you through the traditional Wedding formalities. Our State-of-the-Art Sound System will deliver perfect sound, and our wireless microphones will allow your Toasts to be given from anywhere in the room. A great way to create the perfect mood for your dance floor celebration is with our special effect lighting. Your dance floor will come alive with multi-colored beams of light that dance to the beat of the music which is included at no additional charge. Our complete coordination of the details of your Reception will assure you that your celebration is exactly the way you want it and flows smoothly from the moment your guests arrive to the last goodbye. Take a look below at the standard features that are included in every event. Click here to learn about about Enhancements & Additional Entertainment! Great music & great mixing!